There is a special joy in knowing that you've helped a critically ill child. Our donors and volunteers have - in a real and profound way - touched the lives of the patients and families at Rady Children's. A safety net for children with little or no private medical insurance. A healing environment designed to enrich the experience of patients and their families. 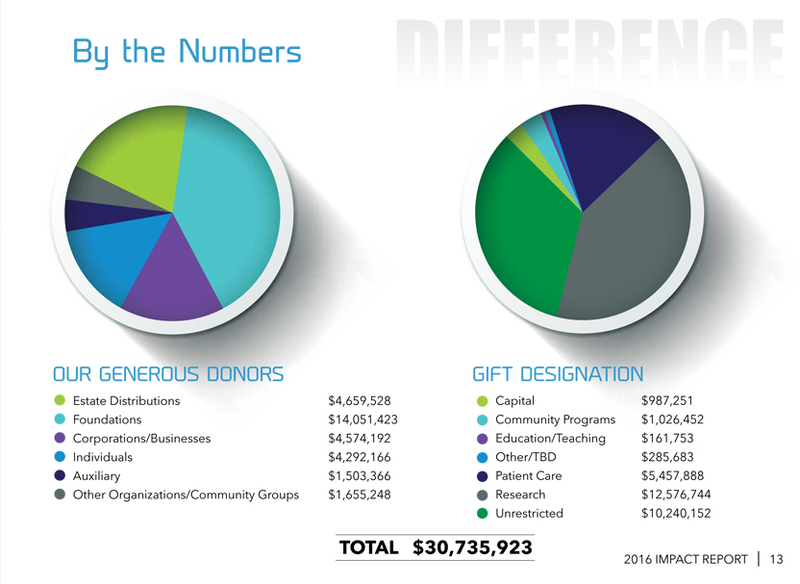 We are fully accountable to our donors, and as such we practice full financial transparency. In fiscal year 2016, Rady Children’s Hospital Foundation received more than $30 million in gifts. This support – your support – enabled us to grow. We ask you to consider, as well, designating Rady Children’s in your will and estate plans. Estate gifts have made a significant difference in care that helps kids now and research that will benefit future generations. And we thank our Children’s Circle of Care members and the dedicated members of Rady Children’s Hospital Auxiliary for continuing to demonstrate profound generosity in helping us to change the future of pediatric healthcare. For more information, please contact us at 858-966-5988.